The joint venture between Coca Cola Enterprises and ECO Plastics will be called Continuum Recycling. According to the two companies, the new name has been designed to reflect the fact that the JV will establish a continuous process for the reprocessing of plastic bottles in the UK. 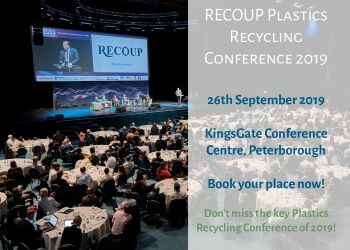 ECO Plastics managing director Jonathan Short said: “Today’s news is important because it demonstrates again our commitment and progress towards realising what will be a revolutionary project for the British recycling and beverage industries. I’m delighted that we are on track to deliver against the ambitious project timetable. Construction work on the new £15 million expansion of the ECO Plastics facility that will be run by Continuum is also making progress. Ground works, foundations and a new road have all been completed and ECO Plastics is looking to begin the recruitment process for 30 new employees that will be needed.